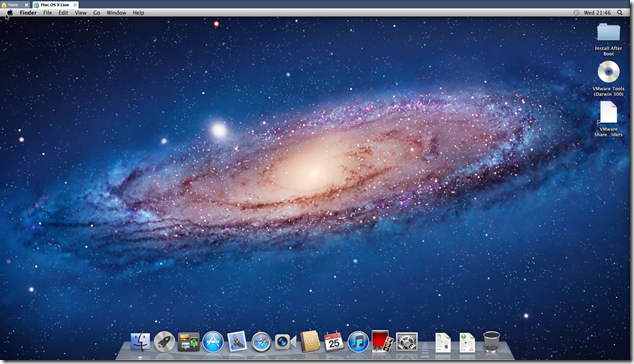 I finally succeeded in setting up a VM with OSX Lion installed. 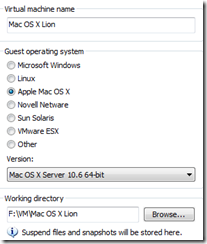 Setting up an OSX environment in any VM tool has always been hard, but since Apple has decided to build for the x86 platform it has gotten a lot easier. In the past couple of years I’ve tried to set up an Apple VM, but never really succeeded in it. Today I decided to try again. Apparently there are a lot of torrents out there containing OSX VM’s, so I’ve downloaded one of them to try out the OS. 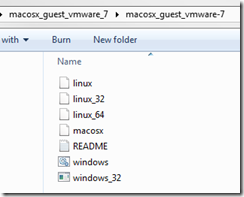 After setting up the VM in VMWare Workstation and booting up I received an error telling me this guest OS couldn’t run with software virtualization and I had to enable hardware virtualization. My development machine has the VT-x option (Intel Virtualization Technology) in the BIOS, so enabling that fixed this issue. Now, booting the guest OS again gave another error. 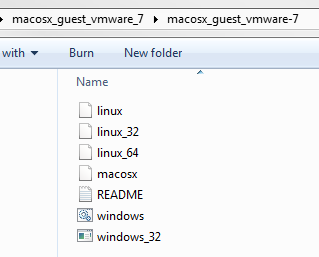 VMWare Workstation told me the guest OS wasn’t Mac OS X Server. Changing this option to ‘Other 64-bit’ didn’t help either. The virtual processors kept failing when booting up. 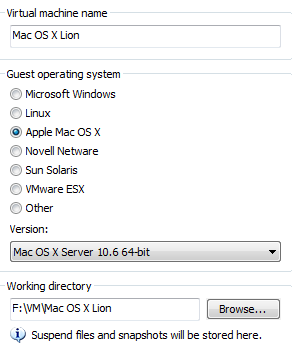 Now you’ve got the option to select Apple Mac OS X from the Guest operating system list and select a proper version. I decided to go for the highest 64-bit version in the list and see if it works. This has worked out quite nicely, booting up the machine works quite nicely. Also, after installing the VMWare Tools, which are supplied in the darwin.iso, I was able to set the resolution to a normal setting also. Even the App store appears to be working just fine. If I can just try to get Unity to work it’ll be perfect. Having Windows AND OS X in 1 environment sounds great to me! Otherwise I’ll just have to sacrifice 1 of my monitors for OS X and the rest for Windows. I heard Ruby development is quite nice in OS X, so I guess I’ll have to check it out some time soon now! Note: The referenced binaries can be found on SysProbs also, just added them here for future reference in case the links go down.